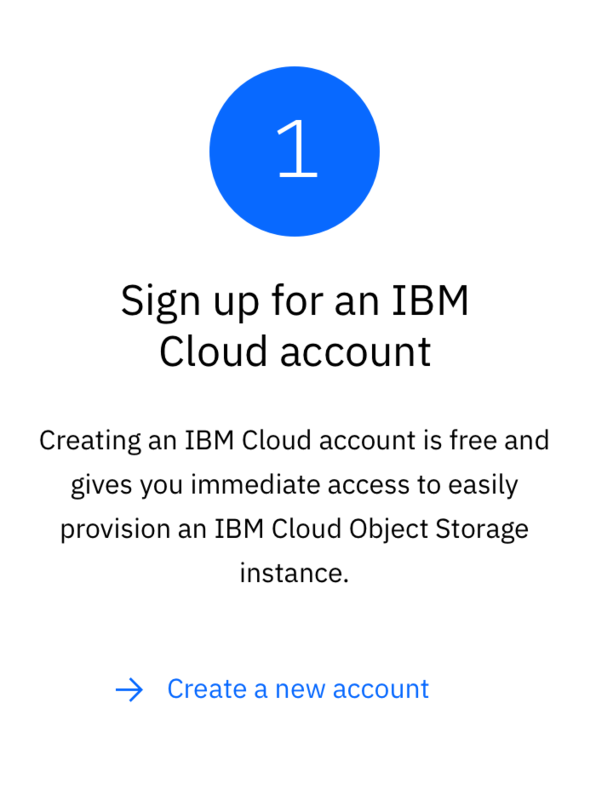 What is IBM Cloud Object Storage? Cloud Object Storage makes it possible to store practically limitless amounts of data, simply and cost effectively. It is commonly used for data archiving and backup, web and mobile applications, and as scalable, persistent storage for analytics. Flexible storage class tiers with a policy-based archive let you effectively manage costs while meeting data access needs. The integrated Aspera high-speed data transfer option makes it easy to transfer data to and from Cloud Object Storage, and query-in-place functionality, allows you to run analytics directly on your data. Effectively manage costs while meeting data access needs. Cloud Object Storage offers storage class tiers for active, cool, cold, and dynamic data. Designed for long-term retention of rarely accessed data. Priced at USD 0.002 per GB per month. Set policies to move data from storage classes to the archive. Securely move data to Cloud Object Storage with natively integrated Aspera high-speed data transfer option. Upload data at no cost. 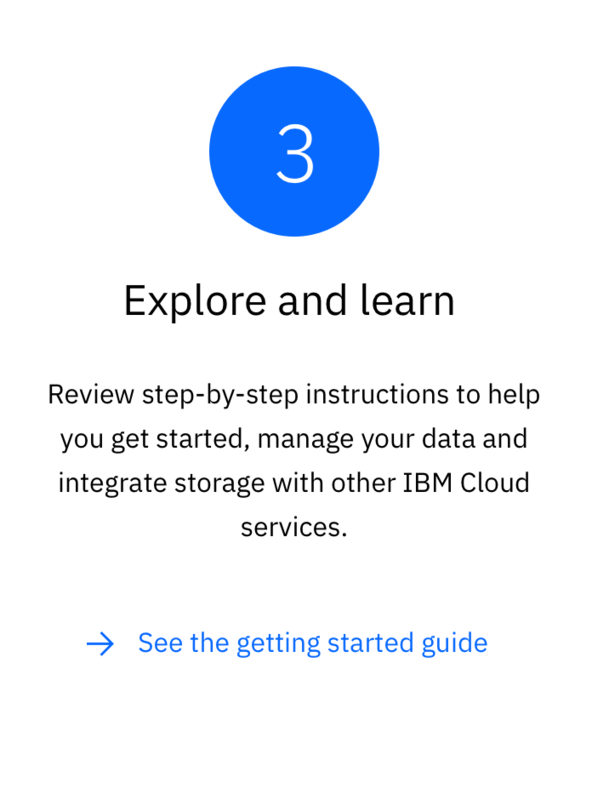 Use IBM SQL Query to quickly analyze data in Cloud Object Storage. Tap into your data without setting up complex processes to extract, transform and load data (ETL). Data protection with default server-side encryption. Optionally manage your own encryption keys or auto-manage via IBM Key Protect. Set role-based polices and access permission with IBM Cloud Identity and Access. Designed for 99.99999999-percent data durability. Data-integrity mechanisms are built in to constantly and automatically check object state and self-apply repairs. Cloud Object Storage offers a scalable, secure destination for backing up your critical data. It reduces the cost of backups while still retaining immediate access. 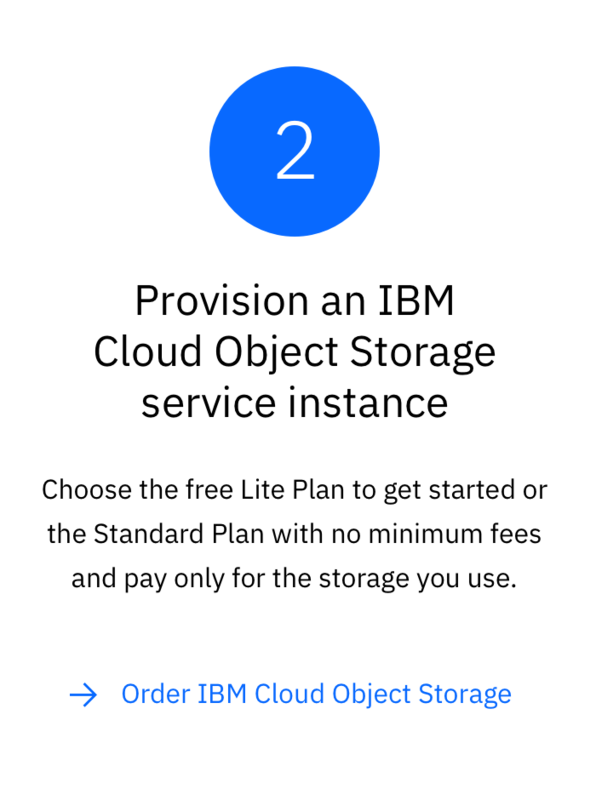 Consolidate archive data and store in IBM Cloud Object Storage, where it is affordable, permanently available, and protected. Build integrated apps using compute runtimes and microservices and Cloud Object Storage services for data storage. SDKs support API functions.